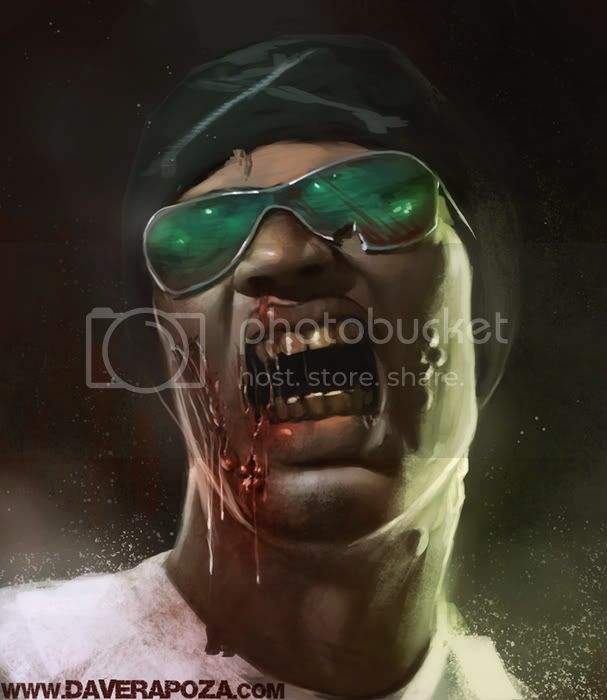 Dave Rapoza: New Video - Three 6 Mafia Portrait + Call for Suggestions! New Video - Three 6 Mafia Portrait + Call for Suggestions! This video was more or less a test for quality so don't expect me to follow the piece. I'll do that next time though! Anyways, check it out and please feel free to leave me a few questions/suggestions for the next video! Please go here to view the video in HD! and of course, some metal! Saxon! Hey David, this is a great video.And what makes it even better is your sincere answers.Really appreciated. very good video man, it even helps me with my english.. Thanks! Yea, its fun to make videos now that they dont look terrible... haha, just post the questions whenever and I'll be happy to make another video soon :). Great haha, thanks for watchin! No problem, thanks for checkin it out! If you want me to address anything else or whatever just let me know :D.